Cars can be simply something that transports people from A to B without fuss or fanfare. 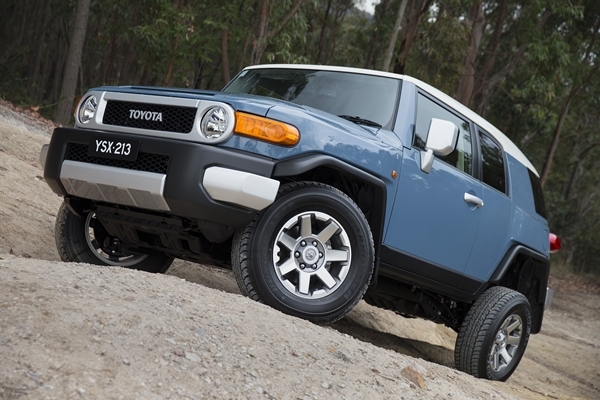 Alternatively for many people their vehicle is somewhat of an extension of their lifestyle, aspirations or image. Those buyers that look for more personality from their vehicles are prime prospects for the luxury / Prestige brands. Buyers are attracted to the brand qualities at an entry level price of around $40,000. 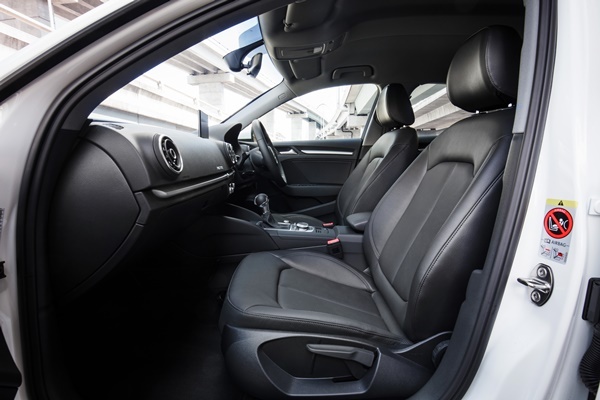 In the world of aspirational Prestige vehicles such as the A class Mercedes Benz and the 1 Series BMW there are few better than the Audi A3, which has undergone a revamp. The A3 has proved to be a very popular choice with buyers and important to Audi and the third generation mid-life cycle update adds value and style to an already impressive offering. The updates in summary include a refreshed design, new technologies and safety systems, a revised engine range, MMI navigation as standard across the range, and higher levels of standard equipment at sharper pricing and four new colour choices. Since the introduction of the third generation A3 in 2012 yearly sales have more than tripled with the breakup being approximately 50 % Sportback, 41% Sedan and 9% Cabriolet. The A3 is Audi’s highest selling model in Australia. At the media reveal we focused on the three body styles, sedan, Sportback and cabriolet with the previous 1.4L and a new 2.0L TFSI engine. However the surprise was the introduction of an entry level 1.0L 3 cylinder TFSI that was pleasantly rewarding, engaging to drive and sub $40,000 pricing. 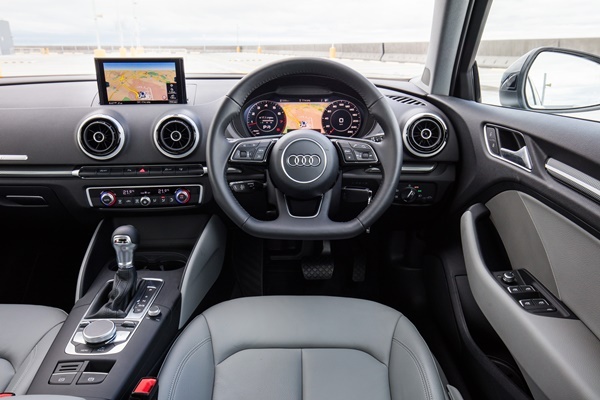 Internally the A3 updates include the relatively intuitive MMI system, a new square bottomed three spoke steering wheel, minimalist design, and a focus on the driver. The really cool feature is that Audi’s impressive virtual cockpit is available across the range. The minimalist interior design provides all the functions required in a subtle style. There is a focus on safety with the A3 being awarded a 5 star ANCAP safety rating, thanks in part to the adaptive cruise control with stop go feature, Pre sense front pedestrian warning and rear cross traffic assist. The morning of the launch, leaving St Kilda we jumped in a white A3 Sportback and headed through the peak hour to the freeway north towards the Yarra Valley. Typical of Melbourne traffic we were caught in heavy stop start scenario that basically resembled a car park. Slowly we found some room to move on the motorway and let the A3 Sportback have some freedom. It was only then, as we were buzzing along I reached into the glovebox for the spec sheet, did we realise we were driving the 3 cylinder 1.0 L TFSI S tronic. It was surprising by the fact that we didn’t find it wanting at all. The 1.0L engine weighs only 88 kg and produces 85kW of power and 200Nm of torque at around 2000 – 35000rpm. The 3 cylinder was easy and reasonably smooth to drive. In that type of driving, i.e. around city and motorway drives, the 3 cylinder engine is ideal. It uses fuel at a rate of 4.8l/100k and while it definitely not a powerhouse it was more than adequate. 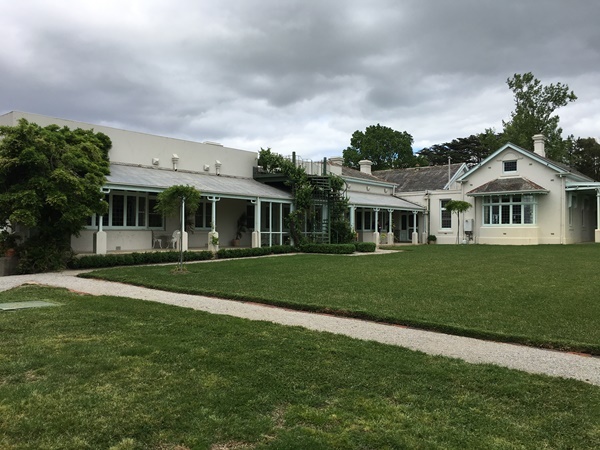 Once we arrived at the stately former home of Dame Melba, the famous opera singer, we proceeded to drive loops of some interesting back roads through the hills in the Yarra region. These allowed us to drive different variants back to back over the same drive program. The next car we drove was the A3 Sportback 1.4L TFSI CoD 7 Sp S Tronic. The 1.4 TFSI CoD comes with cylinder-on-demand efficiency technology, switching off two cylinders when their power is not required. The engine with 1,395 cm3 displacement affords 110 kW of power and develops 250 Nm of torque between 1500 – 3500 rpm. At loads up to 100 Nm, and when coasting, the system deactivates the second and third cylinders, provided that the engine speed lies between 1,400 and 4,000 rpm. 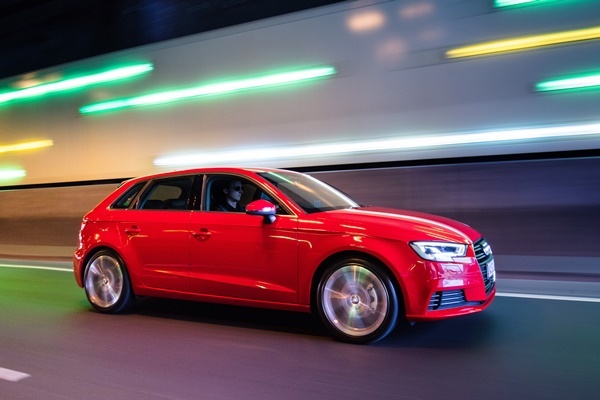 The average fuel consumption is just 5.0 litres per 100 kilometres in the A3 Sportback. Interestingly, while the 1.4L has more power and torque the differences to the 3 cylinder 1.0 L TFSI weren’t really noticeable. Yes you had to hold the 1.0L in its torque band a little more and be a little more alert to positioning but in practical terms there was little to differentiate them. Rounding out the trio is the A3 Sportback 2.0 TFSI quattro S tronic Sport. This is a completely newly developed 2.0 TFSI. The 2.0 TFSI generates 140 kW and generates 320 Nm of torque between 1,500 and 4,200 rpm. It will run from 0 – 100 km/h in just 6.8 seconds and drives through a newly developed seven-speed S tronic dual-clutch transmission with wet clutch. The ADR/81 fuel consumption is 5.9 litres per 100 kilometres. Of the three engines around town I would definitely pick the 1.0L TFSI. It never felt underpowered, was surprisingly tractable, kept up with traffic with ease and when on the motorway cruised at the speed limit without problem. The 2.0 L TFSI was smooth, powerful, and economical and with the quattro AWD system hugs the road under all conditions. Boy racers can use the steering wheel paddle shifters for gear changing but to be honest the car is actually smarter in most instances than the driver for change points. I have always been vocal in my belief that the money spent on paddle shifters could be better spent on safety items. They really are a waste of money. While there is nothing wrong with the 1.4 L TFSI CoD engine for my money the other engines provide more suitable choices, however that is not to say I wouldn’t be happy with the 1.4 L.
Standard across the range now in all front-wheel drive engines is a seven-speed S tronic dual-clutch transmission. On each of the cars this transmission mates to the engine with close low ratios and long ratio high gear for relaxed motorway cruising. Choosing between the S and D modes provides a genuine choice for drivers. The 2.0 TFSI engines are accompanied by a totally newly developed seven speed dual-clutch transmission with two wet clutch systems. It supersedes the previous six-speed dual-clutch transmission and is designed for higher torque values. The quattro all-wheel drive is available for the 2.0 TFSI. The Audi quattro AWD system is amongst the best on the market. The quattro permanent all-wheel drive distributes the torque to both axles by means of a multi-plate clutch with hydraulic actuation and electronic control. During normal driving, the clutch transmits most of the engine’s power to the front wheels. Should traction decrease there, it can continuously redirect the torque to the rear within a few milliseconds. The difference in handling and road holding around the tight twisty mountain roads with the quattro system was noticeable. The front wheel drive A3 handles better than it should gripping the road and changing direction with ease, however the quattro steps up to another level of engaging driving excellence. As mentioned before internally there have been some improvements however the feeling of subtle luxury and style provides a relaxed ambiance for the passengers. Typical of Audi there is a plethora of choices for seat coverings, door and instrument trims etc. however the level of workmanship and quality of materials leaves you with the feeling of a much more expensive car. Driver ergonomics are excellent, with the instrument panel providing a clear and precise cluster, the centre console is tuned for the driver and the wrap around cockpit style cocoons the driver without feeling restrictive at all. If I was buying any of the A3 variants I would definitely take the option of the flat bottom three spoke steering wheel and the Audi virtual cockpit. The dash clarity, level of individualism and information provided to the driver is worth every cent. Seat comfort for the front occupants is superb. The driver’s seat especially was surprisingly comfortable even in the entry level A3. There is a little lack of side bolster for enthusiastic driving but adequate for normal driving. Rear passengers are limited for head, shoulder, and knee and foot room. The seats are comfortable enough but this size of vehicle is never really designed for a family holiday. While the boot of the sedan is reasonably spacious the pick is the Sportback with its height and flexible seating for maximum capacity. There are detail differences between the three engine levels such as lights, grill, wheels and exhaust etc. for the detail minded. It’s simpler to suggest those that want to know to look up the Audi website. So what are our overall impressions? Audi gets a big tick for style, both external and internal. They get a big tick for the engine transmission combinations. While some items on the long and expensive options list are worth the price some and just plain expensive and indulgent. The larger wheel/tyre combinations were a little harsher riding and also had a bit of road noise that while not excessive was noticeable. Road handling, ride, responsiveness and dynamics were all first rate. The suspension was soft and supple on city roads and motorways and responsive on the twisty test loop. The S3 which is reviewed separately was superb. Congratulations to Audi for providing an excellent road test venue to allow us to extract the best from the vehicles. The Audi A3 comes with a three year unlimited kilometre warranty, and at between $37,300 for the 1.0 L Sportback and upwards of $55,000 depending on options actually represents pretty good value. That is something I didn’t think I would be saying. If I was buying an A3 I would opt for the A3 Sportback 1.0 TFSI S tronic with Audi virtual cockpit, the flat bottom three spoke steering wheel and a couple of other options. For around $40,000 this is an ideal city car. In short the A3 retains the segment leadership with a compact excellent offering. Rob Fraser – General dogsbody & Director Rob is the founder of the business. He constantly mutters something about way too many red wines one evening being to blame. Often known for taking the 4WD in the driveway over the sports car, he has travelled pretty much everywhere in Australia and when he is bored goes for a drive. He first learned to drive on the farm in a left hand drive WW11 Jeep when he was 11, and was hooked on 4WDriving way back then. In addition to 4WD he is an avid motoring enthusiast and has maintained a strong interest in the industry ever since his teens. He has owned way too many cars in his time as well. Having previously lived at the top of corporate life he retired in 2000 and hasn’t put a suit and tie on since. Cars are his passion so why not have a business doing what you love he figures. He has towed either a caravan or camper trailer to most parts of Australia, has run guided tours for camper trailers’ and instructed drivers in off road towing.